“Colonialism not only deprives a society of its freedom and its wealth but, of its very character, leaves its people intellectually and morally disoriented.” (Franz Fanon, 1966). Several members of Garifuna communities in Belize and the diaspora, as well as many other Belizeans, have expressed through radio, TV and social media, their outrage at the recent news that the Norwegian Cruise Lines investment at Harvest Caye is proposing to include the dügü as part of its marketing strategy to attract cruise tourists to Southern Belize. 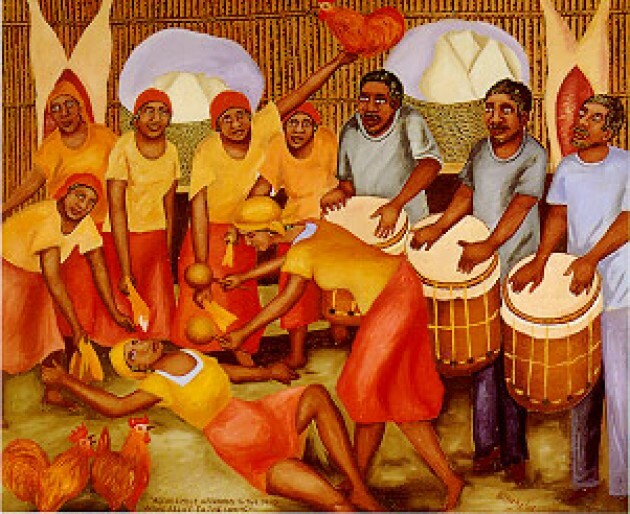 For those who are not aware, the dügü is the most outstanding feature of Garifuna spiritual life. This sacred ritual is conducted as a private affair for families to commune with the spirits of their ancestors. It is not a public cultural event. Family members who are called by the ancestors through the buyei, (shaman) regardless of their profession, occupation or standard of education, usually feel obligated to travel to the dabuyaba (the sacred temple) from wherever they reside in Belize or foreign countries to participate in this week-long ritual. The ritual involves sharing of food between living and deceased family members in a festive and intimate space. It also involves traditional chanting, singing and dancing to certain drum rhythms that hypnotize participants to uncontrollable danced possessions or a trance-like state that often resembles a mild or intense seizure. Persons in such states serve as a medium through whom the spirits of deceased parents, grandparents, great grandparents or other ancestors deliver wise counsel, stern admonitions or positive affirmations for family reconciliation and healing of illnesses or other adversities. By the end of a dügü, family members are often united in ways that they might have never experienced before, and return home feeling healed, protected and empowered to face the challenges of their lives.